If you have any type of hydraulic equipment, you know how important hydraulic hoses are. Leaky hoses can lead to expensive problems with other parts of your equipment. 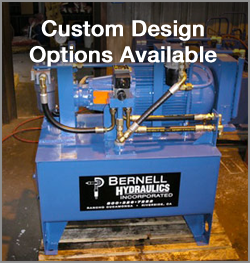 When you need replacement hoses for any type of hydraulic equipment, you can get excellent Parker hydraulic hoses in Fontana CA from Bernell Hydraulics. Like all Parker parts, Parker hydraulic hoses in Fontana CA are engineered to provide maximum performance in every sort of hydraulic system. Parker hoses are especially well-known for their durability. Some of their Tough Cover hoses are 80 times more resistant to abrasion than generic hoses. Since abrasion is one of the leading contributors to hose wear and tear and hose failure, buying durable Parker hoses is a great investment. Parker hoses can also better withstand the impact of other hose-damaging conditions like heat, chemicals, and UV and weather exposure.